This paper highlights the emerging roles and perspectives of the Global South in global governance. It identifies some “trading zones” and “emerging issues” that may inspire actors to create new global governance spaces, innovate alternative narratives and design new frameworks of global governance. The purpose of this paper is to provide a critical and informative exploration of the emerging roles and rising influence of the Global South in shaping the future of global governance. Specifically, it inquires into the following questions: How is the Global South impacting the way we govern globally? What are the pushers, pulls and weights to the futures of global governance? Using Jim Dator’s alternative futures archetype, what is the future of global governance? What are the emerging issues and trends? It uses Sohail Inayatullah’s futures triangle to map the drivers – the pushes, pulls and weights of global governance and Jim Dator’s archetypes – continued economic growth, collapse, conserver and transformation – to imagine and construct alternative futures of global governance. This special edition on global governance and power also featured a commentary from Johann Galtung and papers from futurist Anita Sykes-Kelleher, sociologist Bernd Hamm, Jerry Harris, Dennis Morgan, Georgina Murray and more. Many are worried that our concepts of resilience, city planning and urban regeneration are very male oriented and societal, city futures worldviews are patriarchal. So what would Philippine cities be like if they were designed by women? Will we have massive towers and bridges or will we have more sites or spaces and priorities that are child friendly, safe for mother and babies and gender sensitive? At a macro level, what would our streets, communities, priorities and neighborhood look like in a women imagined alternative city futures? What might be their preferences? What myth and narratives of resilience, planning and design could surface when the future of our cities are re-imagined and reconstructed by women? What elements of current planning should change? What are the influencers and drivers of a women driven city futures? 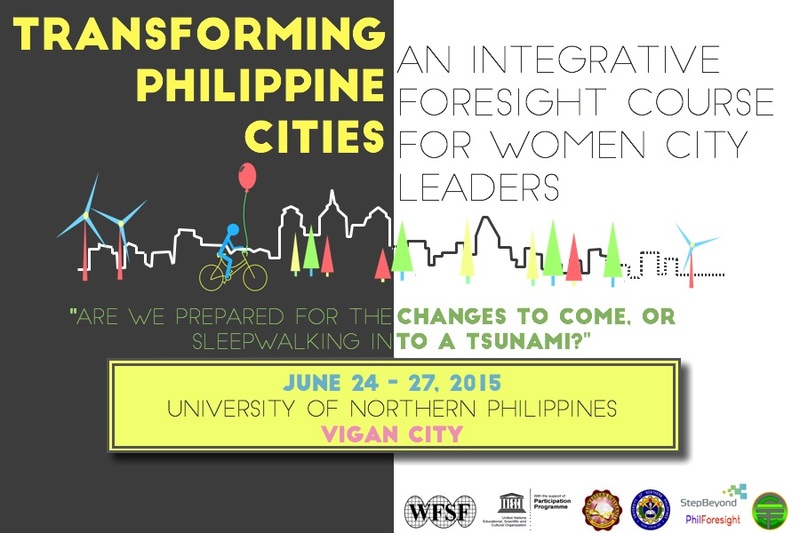 The World Futures Studies Federation (WFSF), the UNESCO Participation Programme, the PhilForesight, Northwestern University, Step Beyond, the Center for Engaged Foresight in partnership with the University of Northern Philippines as our principal host will explore these questions in the second Philippine city futures course on June 24-27 Vigan City. 3. The focus is to enable participants and cities to design their own strategic pathways and enhance their foresight capacities for adaptive response and strategic renewal in a climate change era. 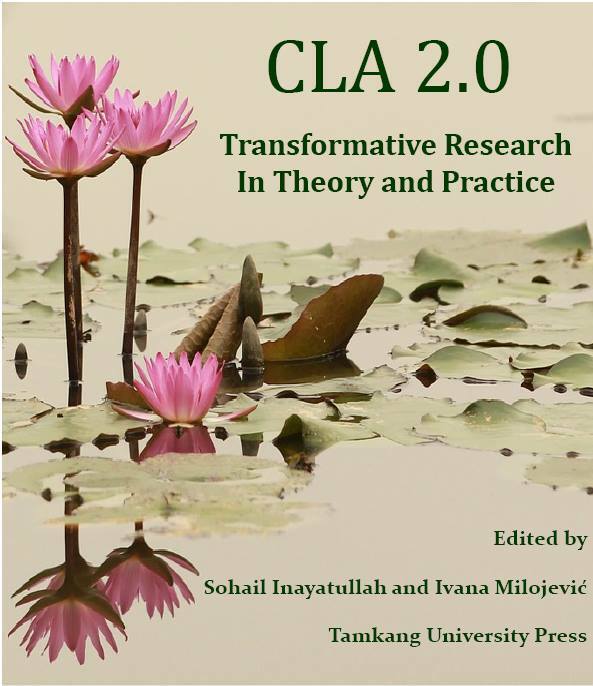 The Causal Layered Analysis 2.0 is here! futures for all of us and the next.